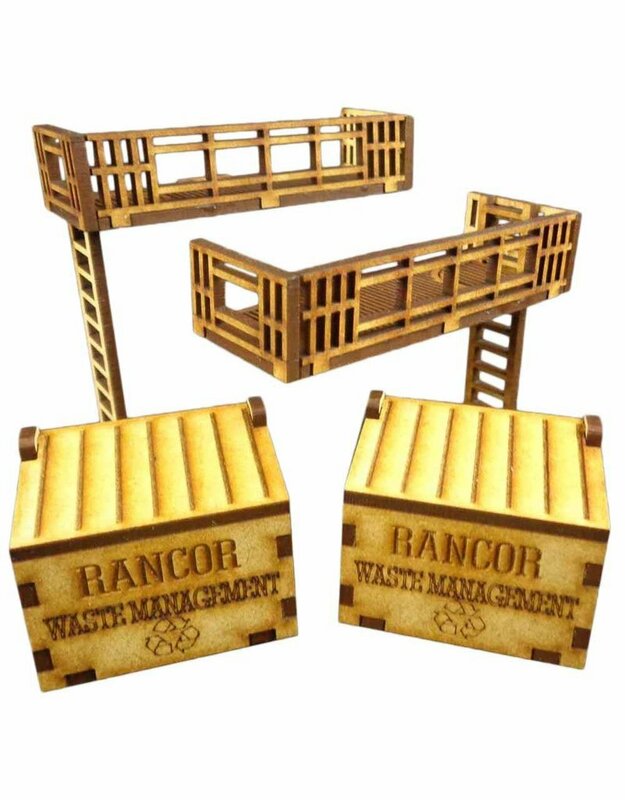 This fire escape is made from 3mm MDF, easy to put together and looks great on the tabletop. Great scenery to use with Batman and 28-35mm wargames. It is designed to be used with the City Senics Apartments. It consists of 2 fire escape walkways, 2 ladders and 2 waste bins.